What are Saturday nights for? Last Saturday night we met up with our friends Johnathan and Beverly. What do people do on a warm Saturday, with an almost full moon, at midnight? We load up on camera gear, flashlights and Dairy Queen, and go stomping about in the woods looking for waterfalls, that’s what. 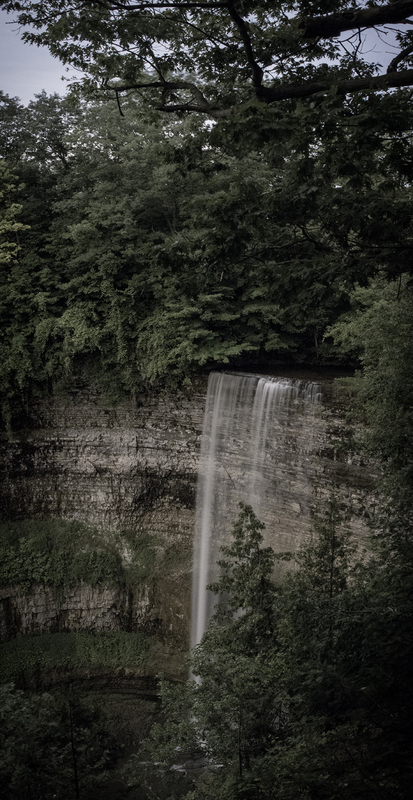 This is the entryway to Tews falls, Hamilton. 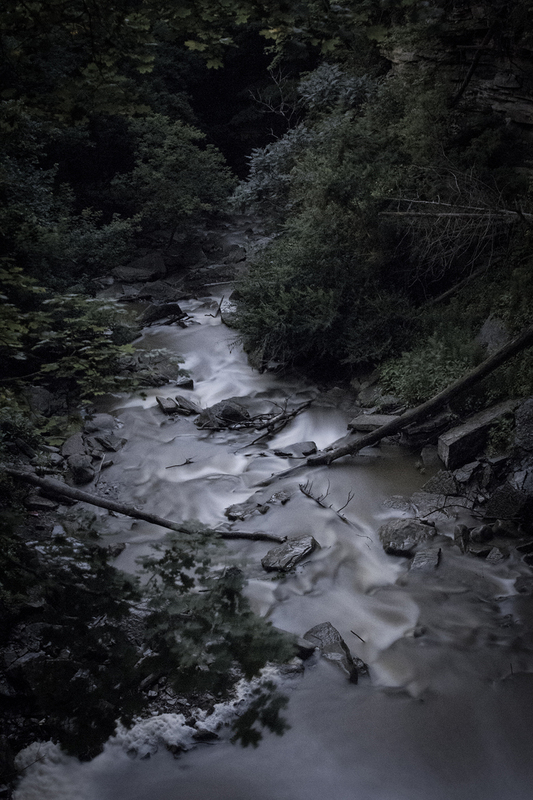 We did some creepy long exposures here, but I’ll keep em to myself because they’re, well, creepy. 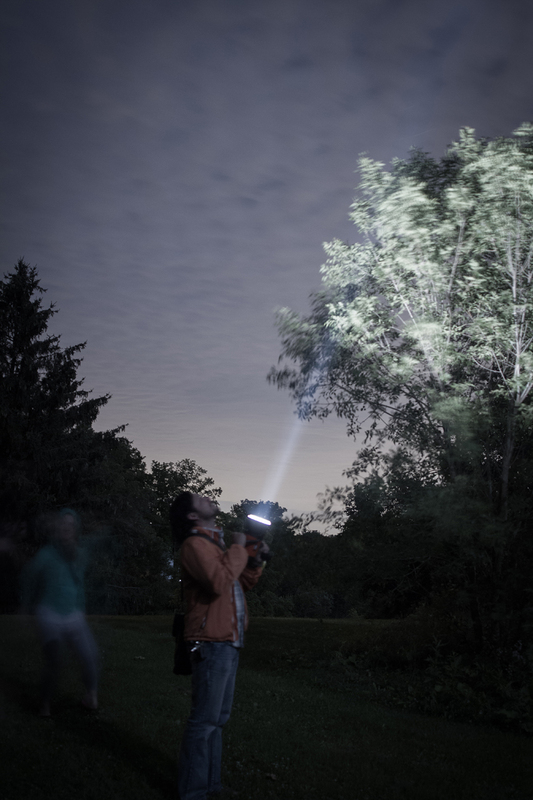 Tito, with our ultra-powerful flashlight – so bright that we could see it on the clouds! 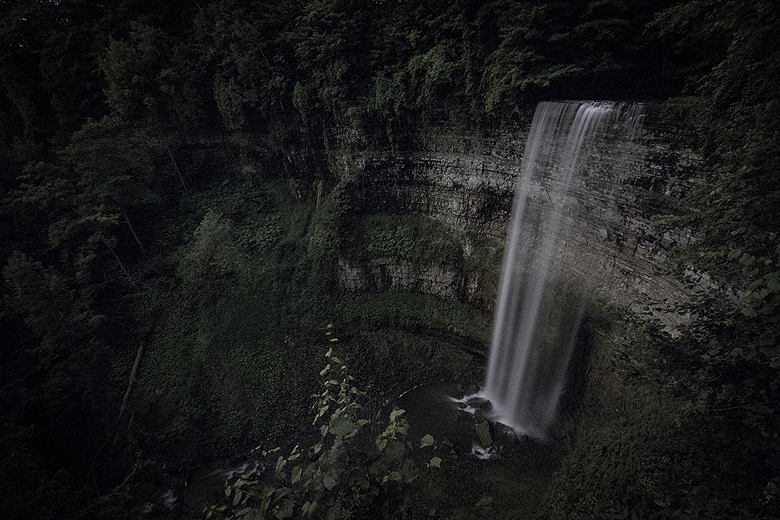 Tews falls. 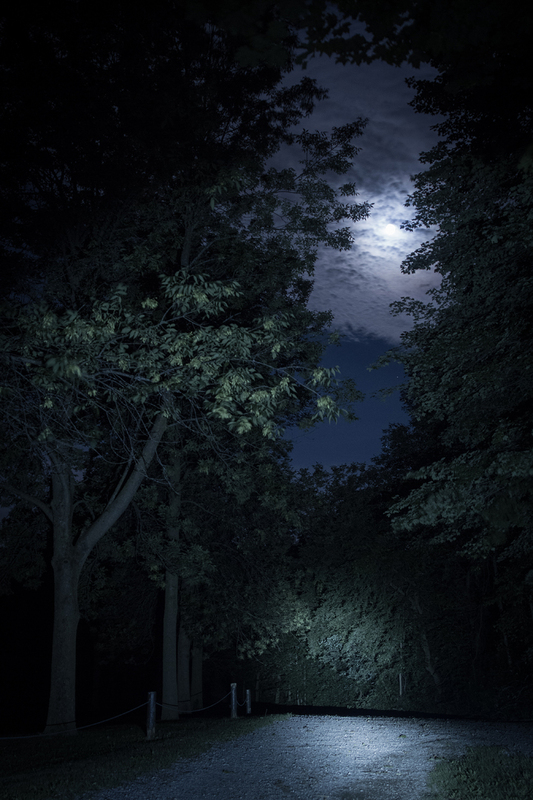 Initially I had the guys shine the flashlights around to get my images, but the full moon was so lovely, I decided to go for long exposures shot entirely with moonlight. I love that silvery, desaturated look! 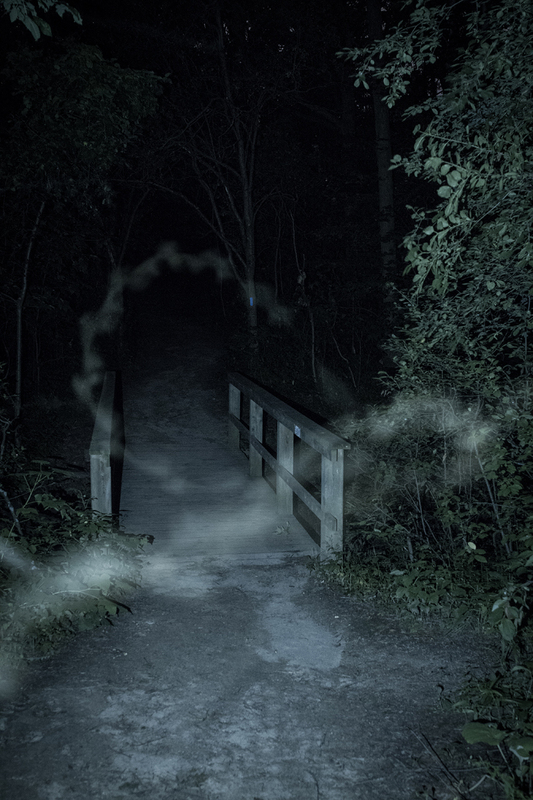 We went hiking for a while afterwards, and I took this shot of a bridge in the woods. It was so dark that I had to use the light on my iPhone to give the camera something to work with – and a moth that was attracted to the light got caught in my long exposure. I totally debated trying to convince people that I’d caught a ghost. Lastly, we ended the night at Great Falls, Waterdown. The falls themselves were too close to the viewpoint for me to get a great photo, but here is the stream below, flowing away in the silvery moonlight. Very nice combination of light painting and long exposures. Great scenery too.